Another wearable art creation from Pendulum collection of our shop. 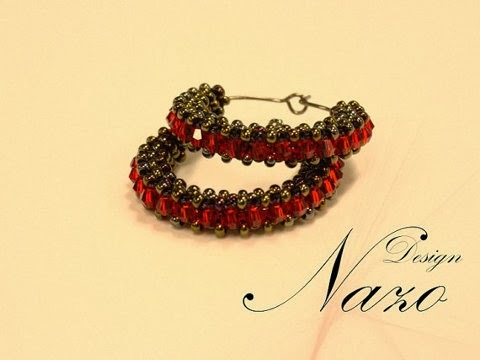 Dark green (or with its original name "brown iris") seed beads along with siam Swarovski crystals woven around a gun metal hoop to create these small hoop earrings. * The diameter of the hoops are 1.18 inches (30.18 mm). * Earrings are totally handmade -beaded by me. * They are ready to ship and will be shipped within 24 hours of your purchase. * Your custom orders are most welcomed. If you have a color in your mind, or want to have a specific color, or would like to have multiple earrings please do not hesitate to send me a message. I will be more than happy to produce a special pair for you! If I have the color that you want, it usually takes 1 hour to complete one hoop.